April 21, 2017 – SM City North EDSA promoted their love for arts with a fun and inter-ART-ive exhibit at the Sky Garden. The art-filled day was made possible in partnership with Vinyl on Vinyl. 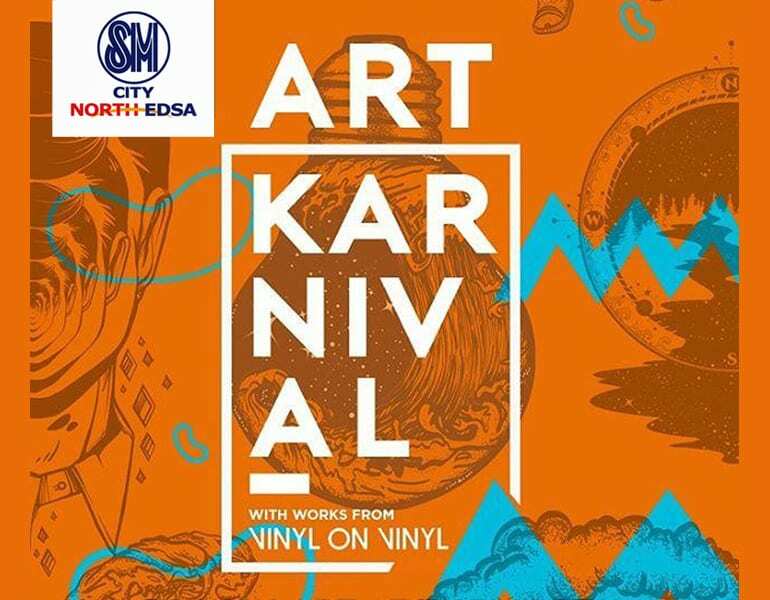 Vinyl on Vinyl, the art gallery and curator group, fielded the top pop artists on their roster including Blic, Bato, Jeffrey Jay Jarin, Garapata, Tyang Karyel, VoV Studio and Whoop. Vinyl on Vinyl Chairman Gaby de la Merced said that most pieces in the exhibit were made to be very interactive—from murals to big installations. In addition to these art pieces, mall-goers experienced extraordinary activities such as a photo area with a 180° GIF output, a freedom wall area and live mural painting. Meanwhile, SM Supermalls’ Regional Operations Head Jocelyn Lapid emphasized their goal to instill a sense of pride and understanding of the arts to all of its mall-goers. At the end of the day, Reese Lansangan played lovely acoustic tunes which added ambience to the event’s whimsical and artsy exploration day. Art Karnival was hosted by lifestyle columnist Lia Cruz and handled by Eventscape Manila’s creative and production team.